This is an introductory course to CHIP which is a 9$ computer. This course is great for those who are interested in either learning physical computing or want to use the chip as a full-fledged computer. This course only assumes that you have basic knowledge of programming and does not require you to know Linux commands or Python programming. However, a knowledge of the mentioned would greatly speed up your learning process. If you do not know Linux or Python, no need to worry. The course has sections that cover the basics of Linux to get you started. The chip is a 9$ device which will act as the CPU to which we will need to connect basic peripherals like a keyboard,mouse and a monitor to make it work as a full-fledged computer. 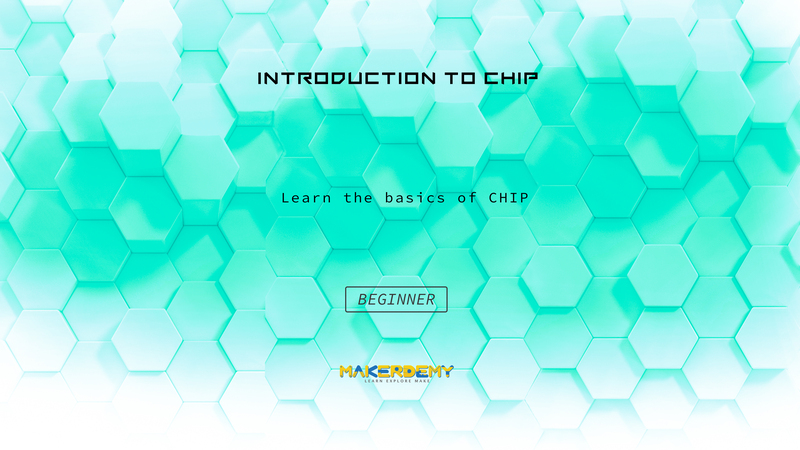 The course will teach you to set up the CHIP and make it work as a low cost computer. You will also learn to work with hardware in combination with the GPIO pins of the CHIP. You will be learning from 3 projects. The first project will be your first step in physical computing and you will learn about GPIO pins and how to use them. The second project will teach you to create a very simple and basic GUI with which you can control hardware and thus works as a virtual remote. Pretty cool right? The third project is an ATM greeting machine which works with sensors to greet a person entering and exiting an ATM vestibule. The course provides error-free source code for the above mentioned projects. The entire course course can be completed over a period of 3 hours assuming that you have all the hardware necessary. Do not worry if it takes you longer since the longer it takes, the more you will be learning and more the fun. By the end of the course, You will learn how to setup the CHIP, install and update the various packages needed for the projects. You will also learn basic Linux commands and the python code to make some really cool projects.